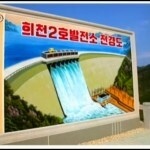 Completed in April, Huichon Power Station is confirmed to be supplying electricity to the capital of Pyongyang. The No. 1 and No.2 hydro powerplants of Huichon are located on the upper reaches of Chongchon River with power generation capacity amounting to 300,000 kilowatts. According to Choson Sinbo, Japan’s pro-North Korean news agency, Huichon Power Plant will be the main supplier of power to Pyongyang. 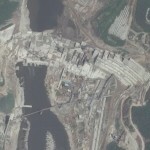 Prior to its construction, Pyongyang Thermal Power Plant, East Pyongyang Thermal Power Plant, and Bukchang Thermal Power Plants provided electricity to the capital. In recent years, the number of new apartments and other commercial and cultural facilities has drastically increased in Pyongyang and consequently, there is a growing demand for stable power supply. The news reported, ten additional small-to-medium power stations are expected to be constructed on the banks of Chongchon River. Construction of Huichon Power Plant started in March 2009 as an initiative of Kim Jong Il, to solve the power shortage problem in Pyongyang. The plant originally began construction in 2001 but, Kim Jong Il pushed for swift completion by 2012, in time for the celebration of a strong and prosperous nation by 2012. 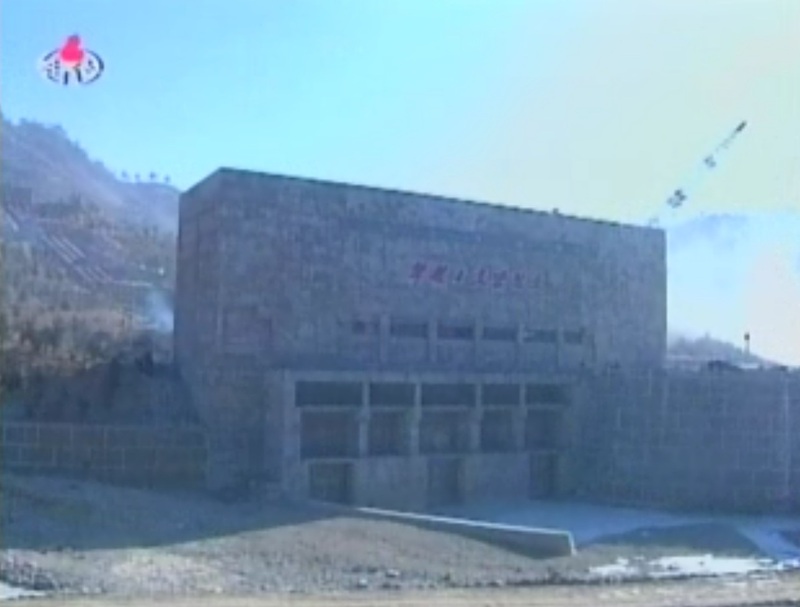 Kim Jong Il visited the construction site of Huichon over eight times from 2009 to 2011, and inspected Huichon as his first official activity of 2010, revealing the significance attached to the power plant. 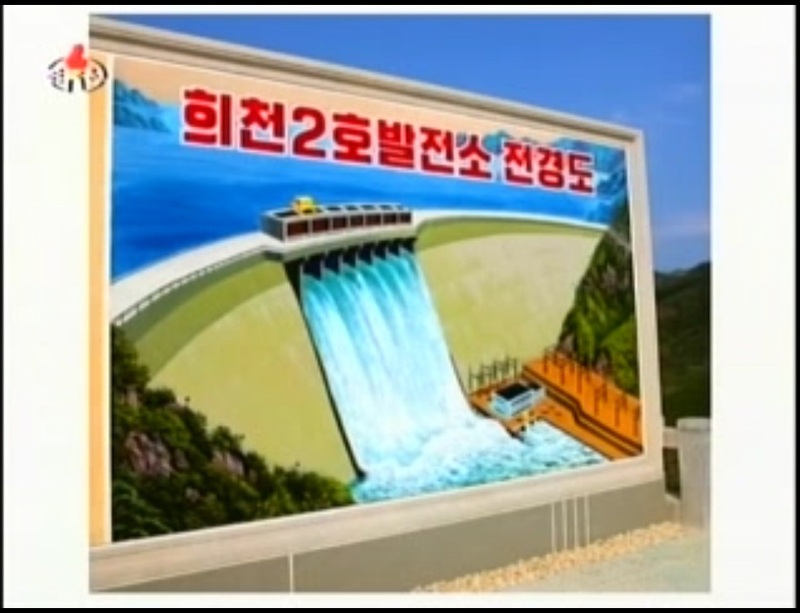 North Koreans are branding the Huichon Power Station as a “monumental creation” and even included in the highly regarded, Arirang Mass Games program this year. North Korea suffered from a widespread lack of electricity and has turned to hydoelectric power to supplement diminishing supplies of coal. The hydro powerplant of Huichon is expected not only solve the electricity shortage but also protect the farms and cities nearby from frequent flooding. 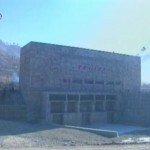 Pyongyang, April 6 (KCNA) — The construction of the Huichon Power Station has been completed in the DPRK. A joint congratulatory message sent by the Central Committee and Central Military Commission of the Workers’ Party of Korea to the soldier-builders, members of the shock brigades, officials and helpers who distinguished themselves in the construction of the power station was conveyed there. The Party will always remember the heroic feats performed by the builders who erected a gigantic structure for the country’s prosperity and its people’s happiness, it noted. The participants looked round Power Station Nos. 1 and 2. Yesterday, Kim Young Nam, the head of the Standing Committee of the Supreme People’s Assembly, and Choi Yong Rim, North Korea’s Prime Minister, were among the regime elite figures present at a ceremony at Heechon Power Plant in Jagang Province. Built to provide power to downtown Pyongyang, the hydroelectric facility is meant to be one of North Korea’s marquee engineering projects slated to go into operation in 2012, and as such was the site of four of Kim Jong Il’s trademark onsite guidance inspections in 2010 alone and five in total. 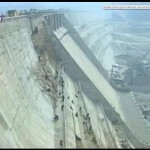 “Thanks to the struggle of construction workers including military personnel, the prospect of finishing this project before 2012 has opened up. Before the 100th anniversary of the birth of the Supreme Leader, the entire Party, military and the people should battle to get this power plant construction finished,” Kim reportedly said on his fourth such visit in December, 2010. 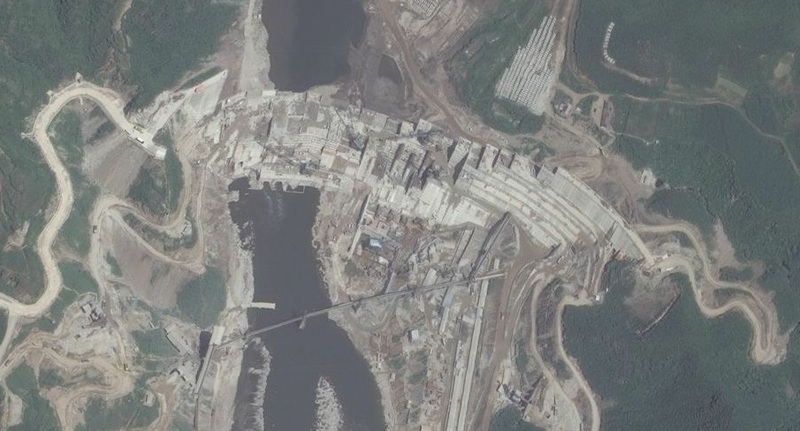 Designed to generate 300,000kw, the plant now becomes the largest of all North Korea’s ‘operational’ hydroelectric dams. According to the propaganda that accompanied the construction every step of the way, the electricity generated by Heechon is supposed to make big inroads into the country’s power generation shortfall. However, according to one inside source, the determination to declare the project complete by April 2012 hides a less impressive reality. In truth, the electricity transmission facilities are apparently incomplete, while problems gathering enough water behind the dam mean that the production of electricity for civilian consumption is still some way off. 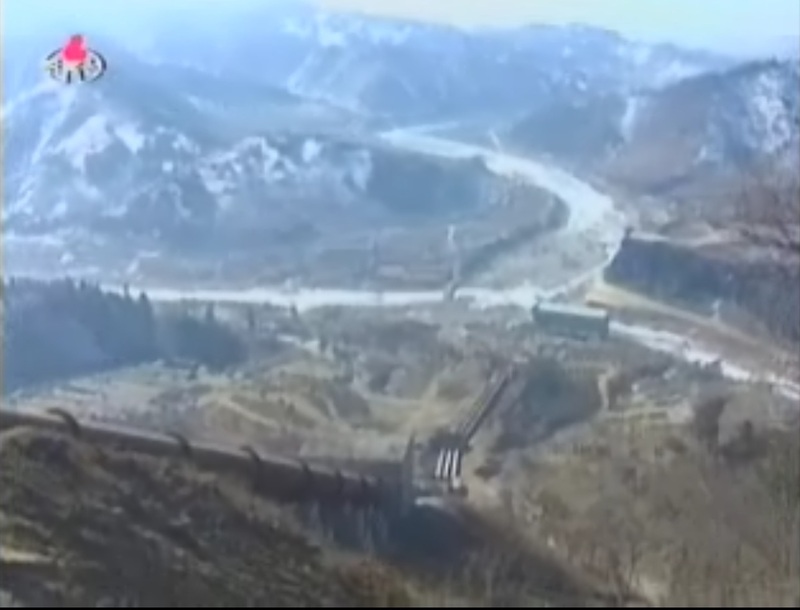 KCNA posted this video of the dams. Here is coverage in NK Leadership Watch. 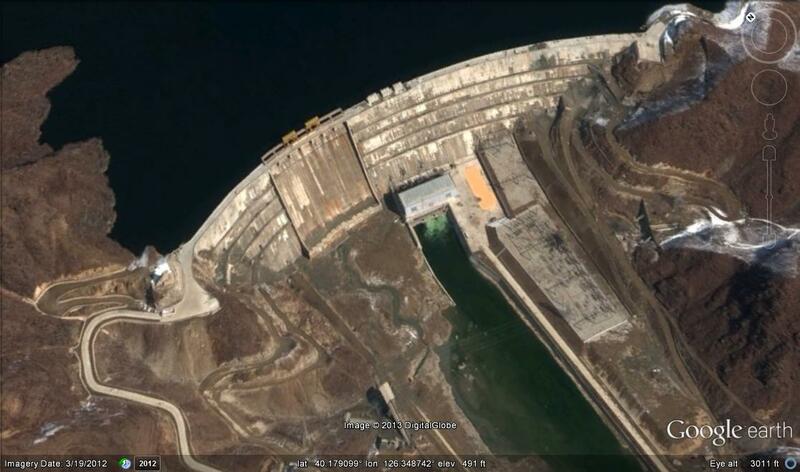 The Huichon Power Stations 1 & 2 (희천1호발전소, 희천2호발전소) are too new to appear on Google Earth satellite imagery. I have, however, mapped them out by hand on the old imagery to give a better idea of their locations. I have also tagged them on Wikimapia. 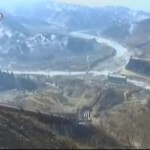 In the picture above you can see that the Huichon Power Station’s headwaters begin in Ryongrim County (룡림군) where the newly-built Ryongrim Dam holds back a large reservoir. 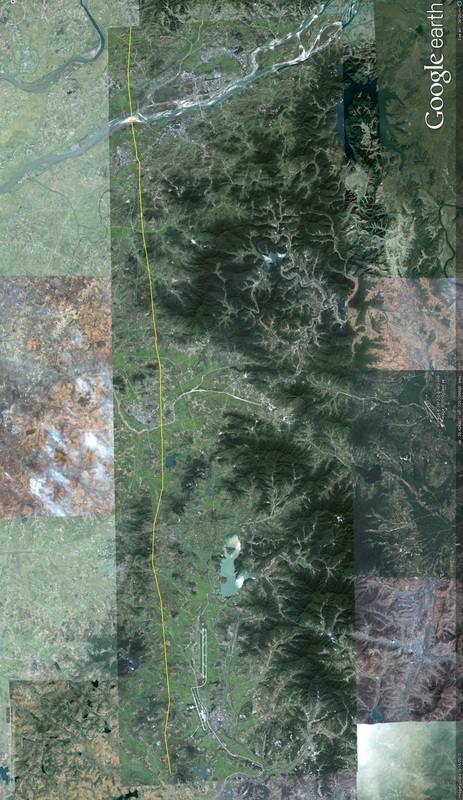 This reservoir drains through a tunnel [in orange in the image above] approximately 30 km long (18.5 miles) and empties through the Huichon Power Station No. 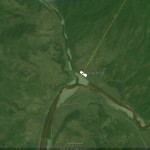 1 in Tongsin County into the Chongchon River. 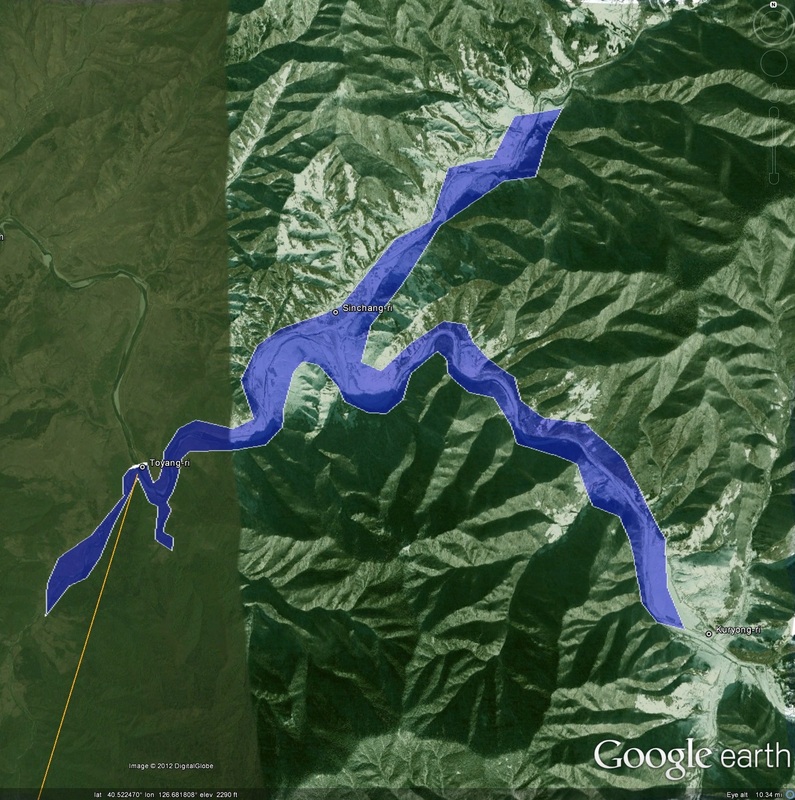 The river flows south where it crosses into Huichon County and builds up behind a second reservoir. From this second reservoir the water drains out directly through the Huichon Power Station No. 2. 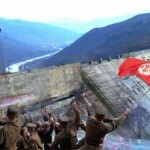 The construction of the Ryongrim Dam has resulted in the destruction of at least two villages, Toyang-ri (도양리) and Sinchang-ri (신창리). 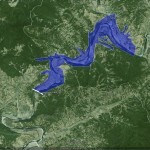 Toyang-ri was destroyed for the dam itself. Sinchang-ri was flooded by the reservoir. 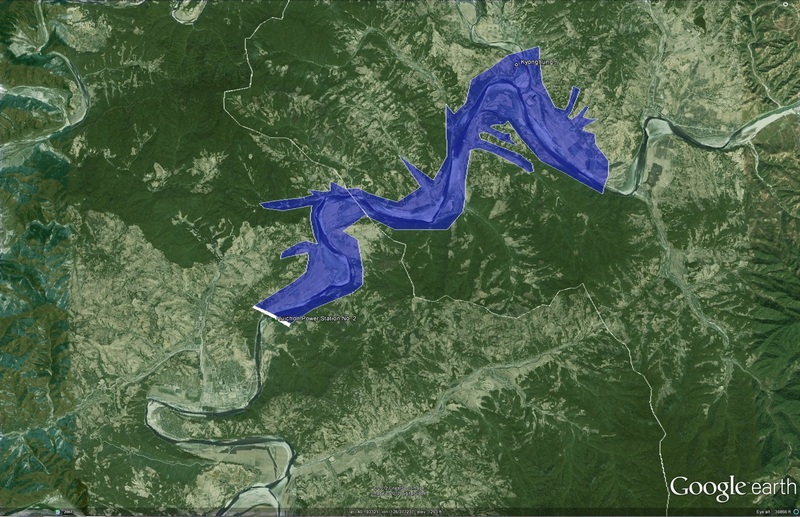 A third village, Kuryong-ri (구룡리), was also likely flooded or relocated—although this cannot be confirmed with current satellite imagery. The destroyed villages were probably relocated to Ryongrim Town itself. On several recent occasions North Korean television has highlighted improvements in housing and leisure facilities within the town. 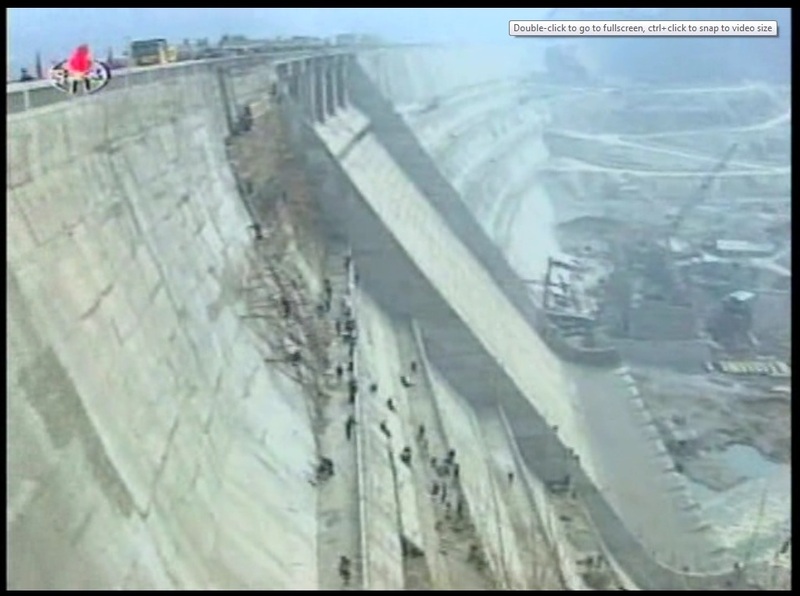 When Kim Jong-il gave guidance visits to this site he often stood on the eastern side of the dam which offers the view captured in the image above (R). The Huichon Power Station No. 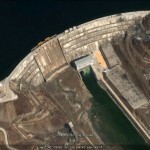 1 itself is located in Tongsin County aproximately 30km due south from the Ryongrim Dam (40.273568°, 126.526565°). 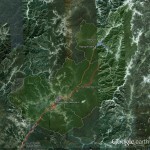 In the satellite image above I have drawn the physical location of the power plant. Next to and below it I have posted images from KCTV dated 2011-3-10. The Huichon Power Station No. 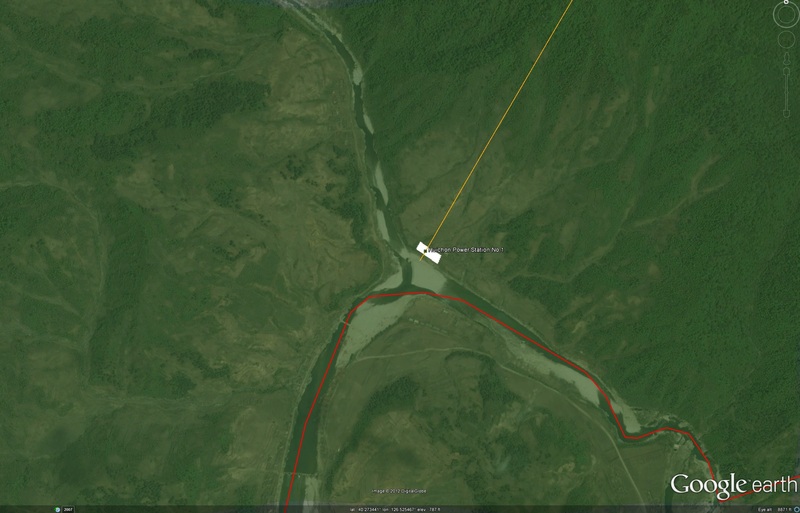 2 lies on the Chongchon River just south of the border with Tongsin. This project might have resulted in the destruction of one village, Kyonghung-ri (경흥리), in Tongsin County, but this is impossible to confirm without better satellite imagery. Like the warm hands of leader Kim Jong Il, the transmission lines from the Huichon Power Station are now almost stretching out for the capital city of Pyongyang. To meet the great expectations of Kim Jong Il who entrusted them to such a gigantic work, the builders of the power station have gained great successes. They have erected big dams, cut waterway tunnels and carried out other bulky tasks that were said to take ten years and more; and in the wake of trial operation of generating equipment at the Huichon Power Station No. 1, they successfully assembled the hulks of generators at the Huichon Power Station No. 2. These successes had an immediate chain reaction on the scaffold workers laying transmission cables from the power station to the capital city. They have already laid transmission cables in scores of kilometer long section, while preceding the construction of pylons in two months. By their heroic labor, the excavation work to lay the foundation for the pylons have been wound up, too. Now, their job is concrete tamping of the pylons’ foundations. By introducing new work methods they are hastening their work of erecting pylons as firm as would stand for many hundred years. Now that power lines have been lain in major sections, they have buckled down to laying the power lines in the remaining sections and erecting transformer substations to reach the capital city as early as possible. It won’t be long before we can see the power lines reach Pyongyang amid the cheers of the citizens. 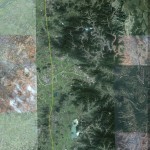 In the image above there are approximately 146 power cable towers under construction between Pakchon (North Pyongan-top of image) and Sunan (Pyongyang-bottom of image). 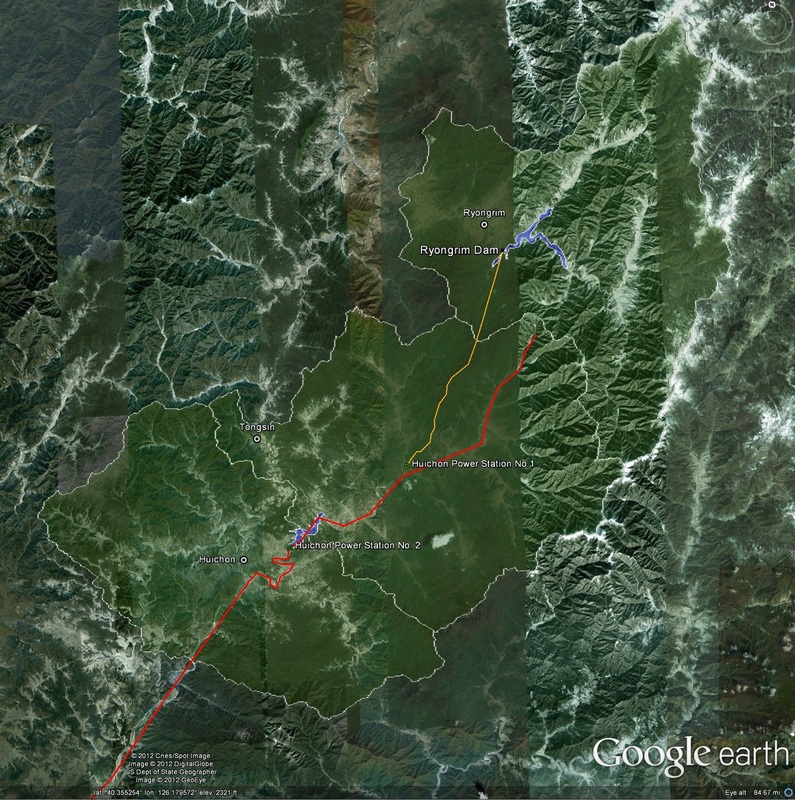 Of course, to be certain that these are the specific lines connecting Huichon and Pyongyang, I will need more imagery. 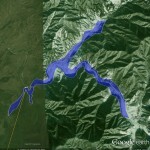 This entry was posted on Friday, April 6th, 2012 at 10:46 pm and is filed under Construction, Dams/hydro, Electricity, Energy. You can follow any responses to this entry through the RSS 2.0 feed. Both comments and pings are currently closed.